I love soup. I especially love making soup in my slow-cooker. Come dinner time this warm, filling meal is ready with very little prep. At Thanksgiving I cooked up a giant turkey and after our meal I put bags of this turkey in the freezer for future meals. Today, I used a bag of cooked turkey breast to make this soup. You can also use uncooked turkey breasts, or even chicken breasts (cooked or uncooked). You can also use a rotisserie chicken. Total flexibility here. We served up this soup with easy Puff Pastry breadsticks. And the leftovers, if you have any, are fantastic!! 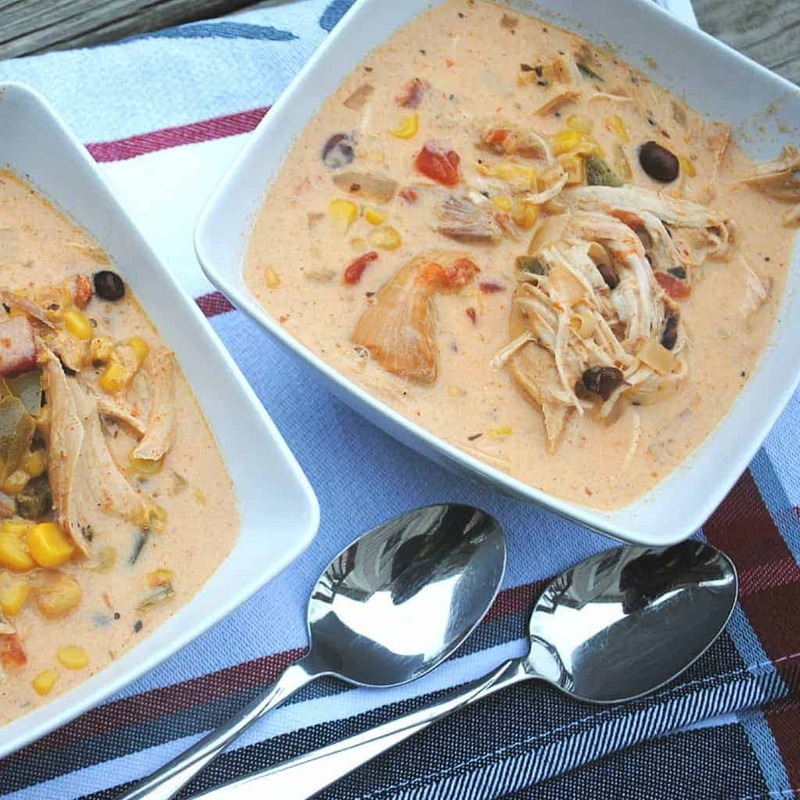 Use that leftover holiday turkey (or chicken) to whip up a delicious dinner of Turkey Taco Soup. Made in the slow cooker, this is an easy meal for any time of year! 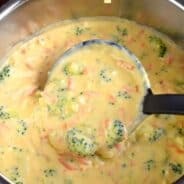 In a large slow-cooker, combine all ingredients except heavy cream. Cook on low heat for 6-8 hours. Half an hour before serving, remove turkey, shred it, and return to pot. Stir in heavy cream. Serve with shredded cheddar cheese, tortilla strips and guacamole. Enjoy! Found you via the Linky hop and have become your newest follower. Hope you have a chance to visit and perhaps follow me back. Yum! I love taco soup but haven’t thought of adding turkey or creamed corn. Sounds amazing and hearty! 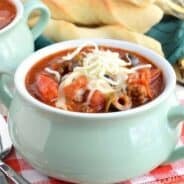 I love taco soup, there is just something about all the wonderful flavors! This looks delicious! 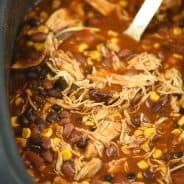 Oh my gosh, we love taco soup in our house, but have never made it in a slow cooker! What a novel idea. Thanks opening up my eyes to a great week night dinner! 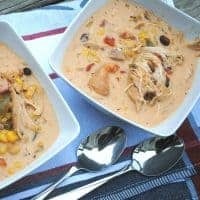 Aimee, this turkey soup looks to die for delicious! I love a good warm, hearty meal like this in the middle of winter. Thanks for sharing! You have a beautiful blog and I’m glad to have found it. WOW, this looks fantastic! I can’t wait to try it out. New fan, loving your blog! I love soup… so good. Sounds easy enough. Love using my crock pot ! Sounds fantastic! I love mexican food and I love the crockpot! Bookmarking!! This looks incredible! Perfect for a chilly winter night! Ty&Jaymie, nice..vomit? yes, it tastes much better!